According to an update from IN THIS MOMENT, they have been named Rising Star Of 2013 Amazon.com/Amazon mp3. The band's new album, Blood, is available for only $5.00 for a limited time via the widget at the bottom of the page. 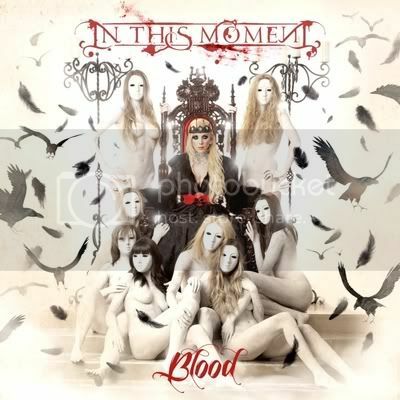 As previously reported, the title track 'Blood' is now the #1 selling single of all time for In This Moment's label, Century Media Records. 'Blood' has sold upwards of 75,000 units since its release mid-2012 release. As of September/October the song continued to move an additional 5,000 copies per week. Check out a new review for Blood here.